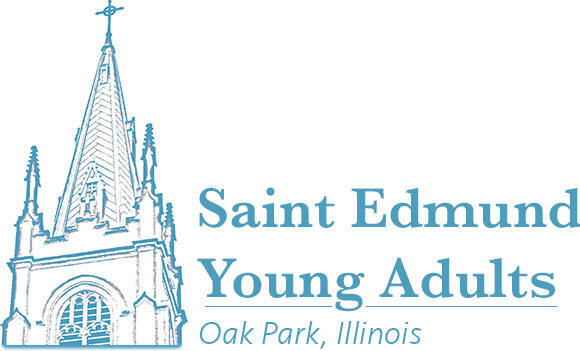 We are a dynamic group that seeks to connect young adults at St. Edmund by organizing activities that build our relationships with God and each other guided by one common thread, our Catholic Faith. The group provides a wonderful opportunity to make new friends, participate in service to our community and enrich our spiritual journey. All adults under the age of 35 are welcome to join the Young Adult group. Come join the St. Edmund Young Adults (SEYA) group for a church-wide bowling event at Circle Lanes, 7244 Circle Avenue, Forest Park at 7:00pm on Saturday, January 26. We have reserved a few lanes for this event. Participants are responsible for the cost of their bowling shoes and the games. For more information, please contact Andrew Swiontoniowski at: Andrew_Swiontoniowski@yahoo.com .